Hyundai is working to make key fobs a thing of the past. At the 2019 New York Auto Show, the automaker will demonstrate a “digital key” app that uses a smartphone to unlock and start a car. 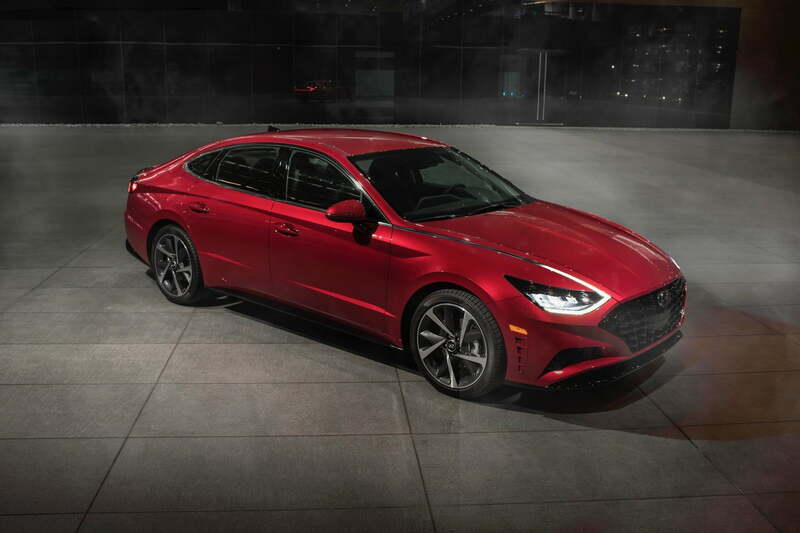 The feature launches this fall on the 2020 Hyundai Sonata midsize sedan. The app uses a combination of wireless communication technologies to replace a car’s key fob. Near field communication (NFC) is used to detect an authorized smartphone. One NFC antenna in the driver’s door handle enables locking and unlocking, while a second antenna in the wireless charging pad in the center console allows the phone to start the car’s engine. Bluetooth Low Energy enables remote engine starting (up to 30 feet from the car), remote locking and unlocking, and the car alarm’s panic mode. Other automakers, such as Mercedes-Benz and Volvo, have experimented with this technology, but Hyundai will likely be the first to apply it to a mainstream production car. Hyundai said the app can be utilized by up to four authorized users, making it easier for owners to share their cars with others. Each user’s preferred settings for things like seat and mirror position and radio presets are stored in the car, so everything automatically adjusts when a given user is detected. The car owner can also set parameters for other users. An owner could, for example, give a delivery service access to the trunk during a certain time window to drop off a package, according to Hyundai. The automaker believes this feature could also give owners peace of mind when renting their cars out to other people. In the future, owners could set geofenced limits and other safeguards, according to Hyundai. Features aimed at private car sharing aren’t ready yet, but the digital key app will allow owners of the 2020 Hyundai Sonata to unlock their cars and start the engine. The car itself gets a redesign, headlined by dramatic new exterior styling. Hyundai hasn’t confirmed many technical details, but we do know that the Sonata will get a 1.6-liter turbocharged four-cylinder engine making 180 horsepower. That will likely be just one of many powertrain options. The current-generation Sonata is available with multiple gasoline engine options, as well as hybrid and plug-in hybrid powertrains. Both the 2020 Hyundai Sonata and the digital key app will appear at the 2019 New York Auto Show. Hyundai will also unveil a new crossover called the Venue in the Big Apple. The digital key app will be available on the Sonata when it launches this fall.